Superb 3 Bedroom south facing Apartment located just outside the city wall of the historic town of Lagos. 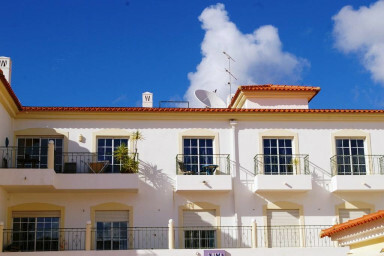 This well furnished Apartment is located on the 2nd.and top floor of this south facing block. It comprises an entrance hall, lounge with log fire, large breakfast kitchen, 2 full bedrooms with double beds and a 3rd. bedroom in use as office with a sofa bed. There are 2 full bathrooms both with shower and shower door. Taking your family on a trip to Lagos, in the Western Algarve, Portugal, is a terrific idea because of the many outdoor activities that Lagos and its surrounding towns have to offer. The multitude of scenic sights in the region include walking trails surrounded by a gorgeous blue sea, not to mention its fantastic old style streets. Lagos is an ideal vacation choice for families with varied interests. It doesn't matter which outdoor activities you love to do, because you will definitely find enjoyment while visiting Lagos and its surrounding areas. So what Outdoor Activites are there? We will be bringing you every month a range of organisations that specialise in outdoor activities and we will be offering you a choice of activities that are appropriate for the specific month. So check out our reviews. There are many type of outdoor recreation activities in Lagos that you, your family and friends can enjoy. Be it in the air, water, sun or on land (earth). Lagos is a very popular location for families and offers a myriad of things that you can enjoy, even for the youngest children, such as taking them to the Lagos Zoo or any of the many playgrounds around town. Teenagers who have a passion for skateboarding can take their skills to our skateboard park. There are also major other attractions such as seeing the dolphins in their own habitat, flying a kite or just enjoying a lazy day on one of the many beaches that surrounds Lagos. In Bensafrim, Barao de Sao Joao and Odiaxere, there are many opportunities for outdoor recreation vehicles, shooting ranges, bike trails, and horse rides to name but a few. Visitors can also enjoy a hot air-balloon flight or a fly over Lagos in a water plane. In the spotlight and review section of the website we give you a sneak preview of everything that you can enjoy here. We have gone and identified the many offerings in town, spoke to the service providers and wrote about our findings. Let us know about your experiences, what you liked, what else should Lagos be offering you, so that we can share them with others. Nos ha gustado mucho el apartamento, muy bien acondicionado y equipado, amplio y limpio y no nos faltó de nada, cerca de supermercados, del centro y de las playas.